Hello guys, so I’m back with a blog post about the Naissance Goodie bag we were given after the even last year. They were very generous and it was the most thoughtful goodie bag ever. They knew I was Vegan so they made sure nothing was included that contained any beeswax, because thats the only animal derived product they use. 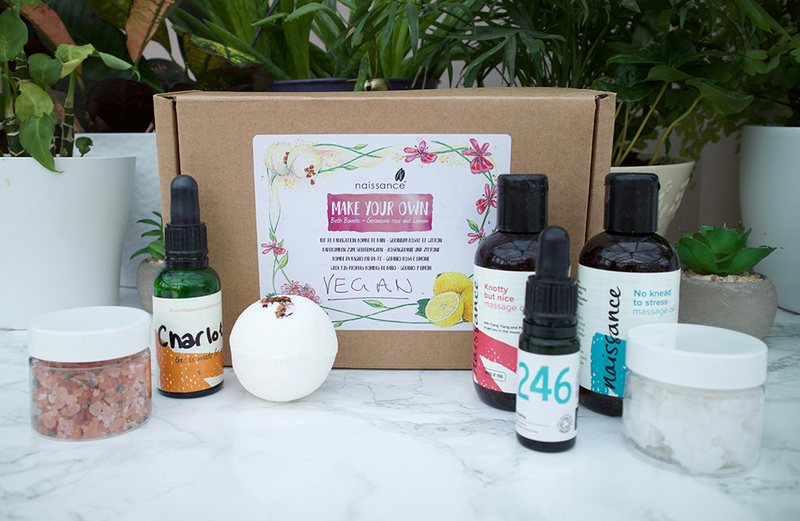 The Bath Salts, Bath Bomb and Bath Scrub were all the items that were had made at the event. I can remember making the Bath Salts, they are really easy and such a cute gift to give to someone at a special occasion. The Bath Bomb was also easy to make and smelt amazing, there were no harsh chemicals in these products so when I used them a few months later, they didn’t irritate my skin. I have sensitive skin and any strong fragrant perfumes usually trigger off rashes. The oil sets I use on my skin after a bath because the red one smells of Patchouli, my favourite scent, and the Blue bottle is a relaxing Lavender scent. I don’t have anyone to give me massages and I can’t do them on my own shoulders, but I do try sometimes. 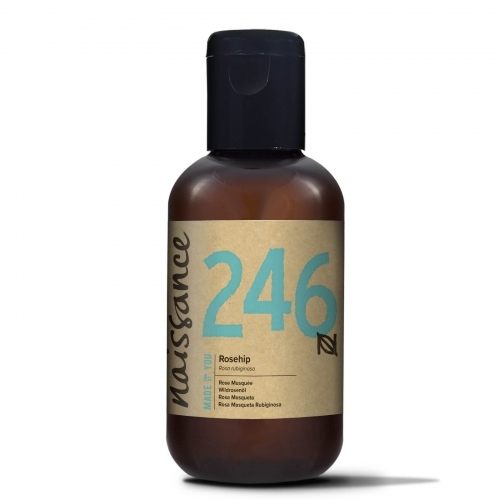 The 246 Rosehip Oil by Naissance is so fantastic. I never knew it would clear my acne up. Who thought that putting oil on your face would get rid of them? Oil!! but funny enough it did. My skin was in such a bad state from June 2017 and started clearing up when I moved back home in January. No more couch surfing, that probably resulted in collecting all the nasty dirt on peoples sofa’s on my face. I now wash my face every night with organic and vegan soap and exfoliate using gloves from Boots. I eat healthier, whilst I was in London I ate at so many Vegan Restaurants, I was consuming so much junk food, oils, fats it all broke out on my skin. I came back home and controlled my diet with no oils, no bad fats, butter and all that, crisps ugh. Not a large amount of nuts and seeds because the high fat content still manages to give me spots the next day. I eat clean whole-foods vegan diet, mainly with fresh produce from the market. Smoothies, lots of fruit, less sugar, no caffeine. I drink tea occasionally but prefer herbal tea. I exercise regularly, meditate once a day and fit in yoga twice a week. So a healthy routine really does impact on the skin. I don’t smoke or drink which I occasionally did whilst travelling around in London. Now I can say I am on the path to controlling my bad habits a lot more and I’ve never felt so good about it. Hope you enjoyed this post and I’m glad I was able to share with you a brand that I love so much. From left to right, DIY Lavender Bath Salts/ Personalised Oil, Jojoba and Frankincense / DIY Bath Bomb / Massage Oil Set / 246 Rosehip Oil / DIY Coconut and Lime Bath Scrub.